Rapunzel: Hi, I’m Rapunzel! Who are you? Hamilton: My name is Alexander Hamilton. It’s a pleasure to meet you. There’s a million things I haven’t done. Rapunzel: Oh my gosh! Same! Both: But just you wait. Seriously, though. Can you imagine it? They’re both idealistic and ambitious dreamers who grew up pretty friendless. They’d see each other and sense a kindred spirit. And then they’d be fast friends for the rest of their lives. But together the four of them would have lovely picnics and adventures, and Flynn would regale them all with his heroic tales, and then Alex would spontaneously make up poems about Eliza and Rapunzel being badasses while Flynn keeps trying to add bandits and dragons until Alex punches him for interrupting. It’d be grand. 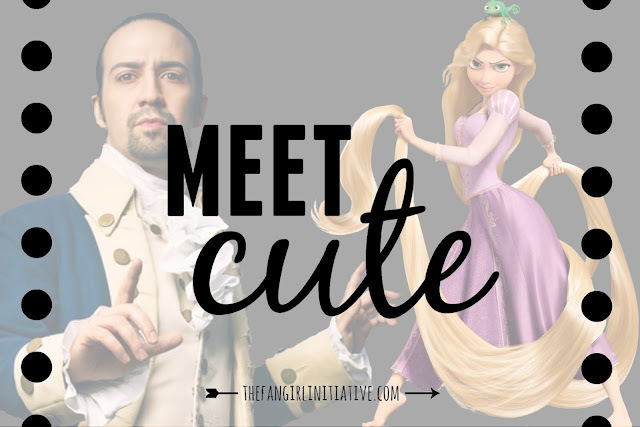 Together, there would be nothing that Alexander Hamilton and Rapunzel couldn’t accomplish. They wouldn’t let anything (or anyone) stop them. Ever. She’s able to get along with anyone she meets, and he’s got the unwavering drive for success, so they would balance each other out in any and every scheme. Hamilton: They don’t like me. Hamilton: They don’t like me either. Hamilton: Let’s just assume, for the moment, that everyone here doesn’t like me. Hamilton: Come on! It's a great idea! Rapunzel: But we probably shouldn’t. Rapunzel: What could really happen? Rapunzel: It’s not a good idea. Rapunzel: It’s not a bad idea. Hamilton: If you stand for nothing, girl, what’ll you fall for? ...they would complement each other in all the best ways, egging each other on until they were both successful at whatever they had set their minds to that day. And plus they would just sing duets about all their adventures. That would be seriously the best movie ever. Somebody make it happen. Please. these two would get up to? YAAAAASSSS!!! So much yes... The dialogue had me loling. I can't wait for more of these Meet Cute posts!